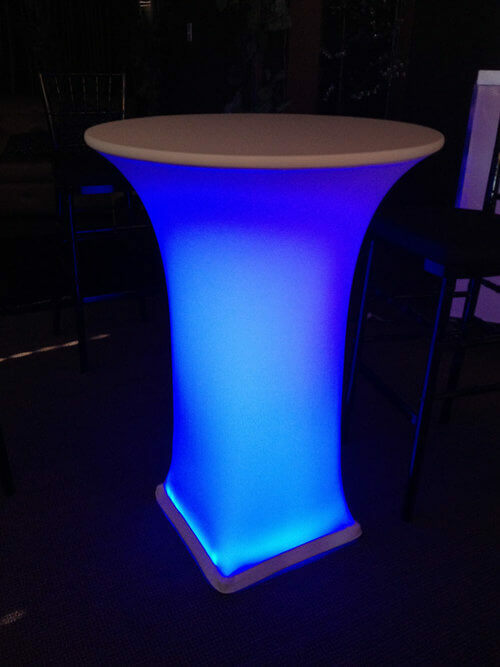 Turn any banquet table or cabaret table into your own pallet of color! 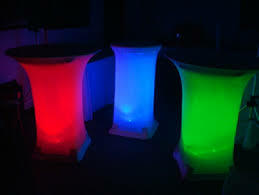 Each lighted table rental comes with the table, white spandex table linen, and a wireless L.E.D. light with remote. The light will only illuminate the sides of the table. The tops will not illuminate.